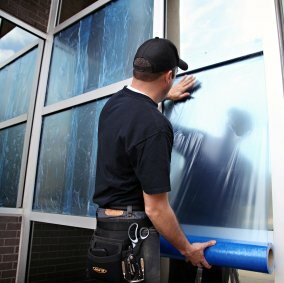 Protect both window glass and panes during installation, painting, construction, stucco application, remodeling and demolition with Trimaco’s Easy Mask® Window Film. 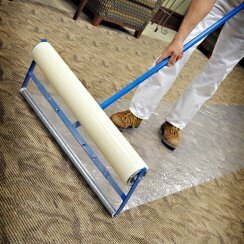 This self-wound film is perfect for both indoor and outdoor jobs, and is easy to apply and remove without leaving a tacky residue. 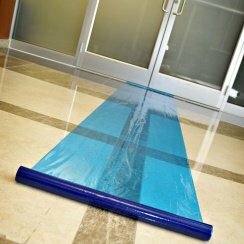 Reduces cleaning and scraping at the completion of the construction process, saving you time and money. Film is UV resistant and puncture resistant. Available in both blue and clear. 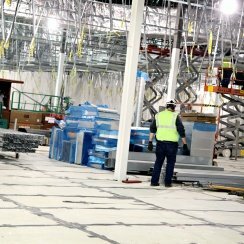 Explore Trimaco’s wide range of other protective films.